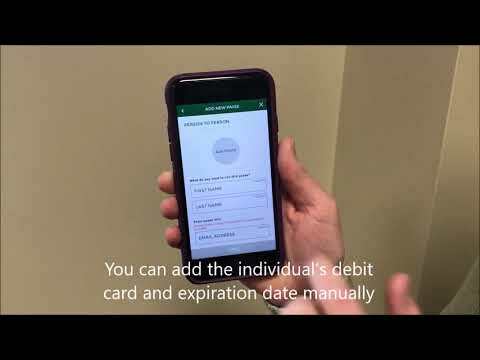 Assistant Vice President Caitlin Anderson discusses how to set up a payee for a person to person funds transfer using the HOMEBANK mobile app. 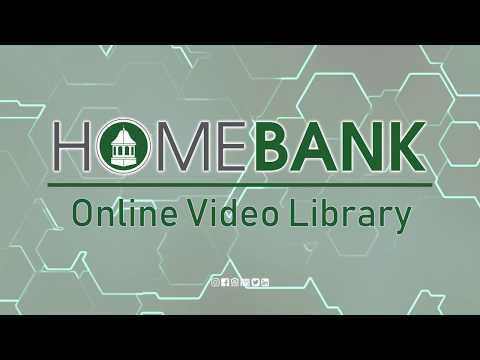 Assistant Vice President Caitlin Anderson discusses how to use the HOMEBANK Mobile App to see your account balances, including interest earned on an account. Assistant Vice President Caitlin Anderson discusses how to manage debit card alerts and turn a card off/on with the HOMEBANK Mobile App. Assistant Vice President Caitlin Anderson from the Digital Banking Team discusses how to add and manage payees though the HOMEBANK Mobile App. Assistant Vice President Caitlin Anderson discusses how to edit login settings on the HOMEBANK Mobile App. Forgot the username or password that gets you into your account? Digital Banking Representative Danielle Hathaway shows you how to request a reset link through the HOMEBANK Mobile App. Danielle Hathaway, Digital Banking Representative, discusses how to reorder, rename, and hide account information with HOMEBANK’s Mobile App. Assistant Vice President Caitlin Anderson discusses the login features of the HOMEBANK Mobile App. 50Assistant Vice President Caitlin Anderson shows how to manage transfers using the HOMEBANK Mobile App. Assistant Vice President Caitlin Anderson discusses how to simply take a photo of your check to deposit the funds to your account using the HOMEBANK Mobile App. Assistant Vice President Caitlin Anderson shows viewers how to find the locations of branches and ATMs on the HOMEBANK Mobile App. Assistant Vice President Caitlin Anderson discusses the mobile alert system offered through HOMEBANK’s Mobile App. 65Assistant Vice President Caitlin Anderson discusses the ability to manage your bank accounts via the HOMEBANK Mobile App. 70Branch Lead Nikki Brinkman discusses how to apply for a HOMEBANK checking or savings account online. Assistant Vice President Caitlin Anderson discusses how to add an image of your receipt, add notes and categorize transactions through the HOMEBANK Mobile App.